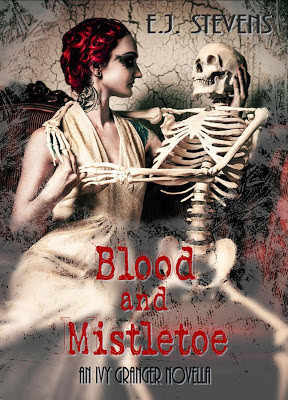 I love reading holiday books in the summer heat and this is one creepy, urban fantasy book that is guaranteed to give you chills. We are giving away an ebook copy of Blood and Mistletoe, an Ivy Granger series novella, to one lucky winner! To enter, please leave a comment on this post and include your email address so we may contact you if you win. This giveaway is INTERNATIONAL. Ebooks available in choice of PDF or Kindle formats. Giveaway ends July 29, 2013 midnight EST. Participate in this giveaway! The novella is awesome, and if you haven't read the first book, Shadow Sight...do that! I love the idea of a psychic private detective! I love watching the TV show Psych, this book does look creepier.